In the Buddha’s time, travel was difficult during the monsoon period when the rivers would flood. The Buddha instructed his monks to stay in once place during this time, to prevent the killing of insects and worms while walking on muddy roads. The sangha would gather in a place where the king could support such a large group, and engage in meditation until the monsoon season had passed. This is the tradition of the Summer Retreat. 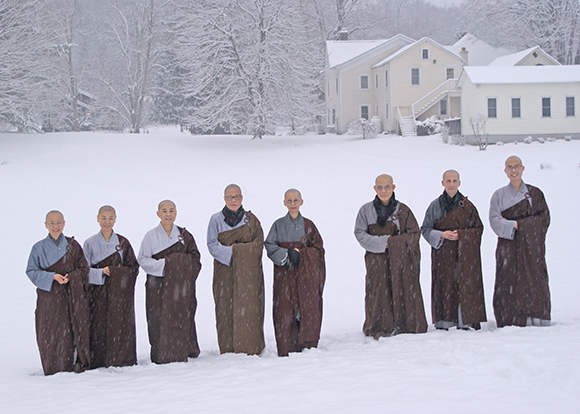 Here in the West, the winter snow echoes the travel difficulties of the Buddha’s era. We hope that during this period, monastics will be able to let go of busy things and simply engage in practice. 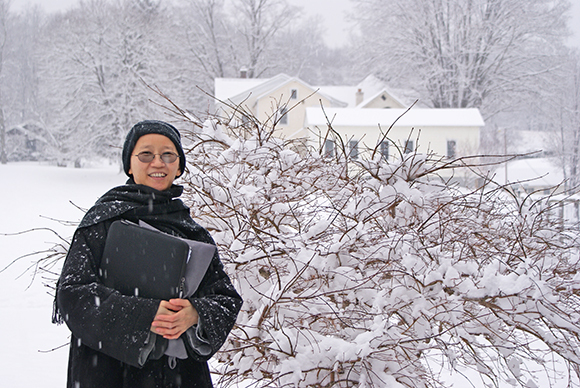 This year we open our annual Monastic Winter Retreat to any monastic who wishes to join us. This event is not open to lay persons. If you are a celibate Buddhist monastic, you are welcome to attend for free.